Infrastructure professionals will soon be able to instantly model the real world using the camera on their phone following the latest acquisition by construction software business Bentley Systems. The acquisition of specialist digital photography firm Acute3D means that digital photography rather than expensive specialist laser scanning techniques can now be used to capture and convert real situations into scalable 3D models. Greg Bentley, chief executive of Bentley described the acquisition as being “more exciting” than any other in the company’s 30 year history for its ability to at last put “reality modelling front and centre so that it can be part of every project and every asset”. The ability to create a 3D model using digital photographs means that the gap between the real infrastructure on the ground and the data in digital models used by designers, constructors and asset managers will be more effectively bridged using this software breakthrough. “We started with laser scanning and point clouds and that is integrated into our design and construction modelling and, in fact, many of our users now start every project with laser scanning and point clouds,” said Bentley highlighting the growing demand for so-called reality modelling across the sector. 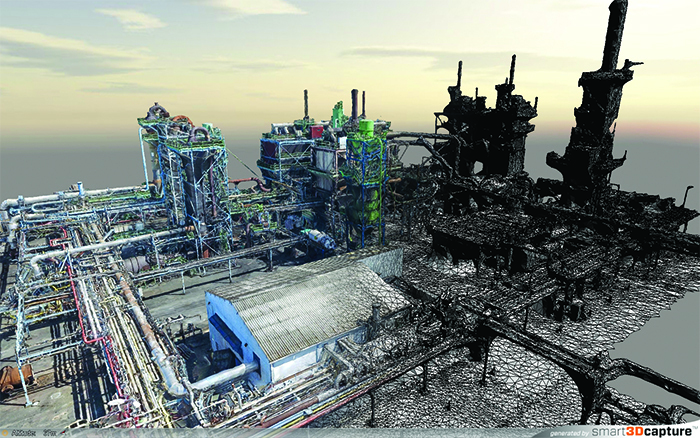 The Acute3D software automatically converts any digital photographs into 3D meshes, scaled to the resolution of the photograph so that the closer you are to the object photographed, the greater the resolution of the mesh allowing either whole cities to be photographed and modelled or individual objects. Any overlapping digital image can be used – from the camera on the phone in your pocket through to more sophisticated digital SLR cameras mounted on cars or on aircraft of unmanned UAVs. And while basic technology is not in itself new - it uses the same basic techniques currently seen on mapping such as used by Google – the key to Acute3D solution is the ability to automatically output to a 3D mesh which is measurable and interfaces with design and construction models. Reality modelling processes observations of existing asset conditions using data from conventional survey, laser scans, from digital photographs or a combination of all. However, for the output to be really useful to infrastructure professionals it must align with the data in the design and construction model. Until now the only way to achieve this was to laser scan and create a point cloud model which is converted to a mesh to interface with the design and construction modelling. While still useful, the downside to point clouds is that they generate large and noisy data files and require specialist equipment to create. 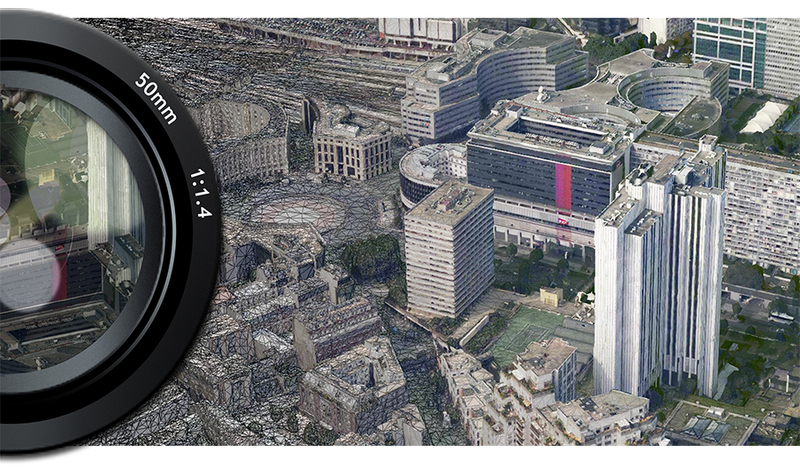 Acute3D research work has taken the state of the art of photogrammetry forward and the business was recently rewarded at the French “most innovative start-up” Awards. A free version of the software is available on Acute3D’s website. Created in January 2011 in the silicon valley of Nice in France, the smart 3D capture product has emerged from a “think tank” of 25 man-years of research at two major European research institutes, École des Ponts ParisTech and Centre Scientifique et Technique du Bâtiment. The use of UAVs for surveying is already becoming increasingly common across the industry as a cost effective and convenient alternative to traditional survey and aerial photography. In fact the software is already being used in this way to map China’s cities as they are built and grow rapidly. However, as Bentley explains, this new technology also enables the technique to move towards inspection by creating output that can be measured and interrogated as a part of the digital design and construction model. And while there will still be a time and a place for laser scanning and point clouds, this new technology is set to makes reality modelling common place and allow infrastructure professionals to create real time asset model information using just phone in their pocket. 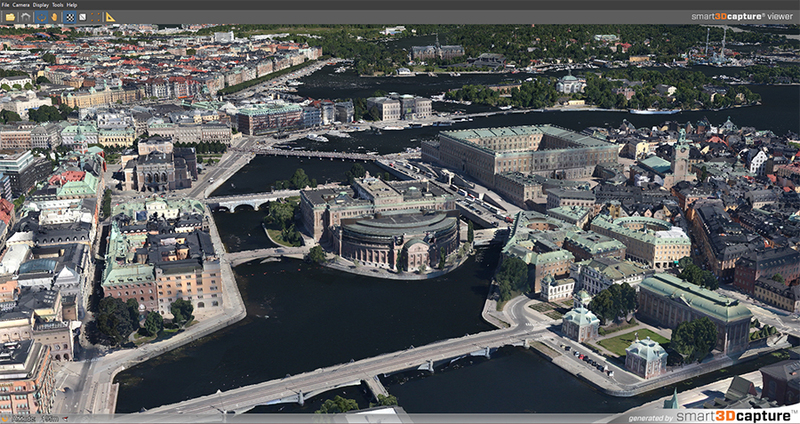 “Our vision is to have reality modelling accessible and utilised literally on every project and every asset. The barriers have gone away,” he said referring to the complexity of laser scanning and the fact that the point cloud files were large and diffivult to navigate. This drive by Bentley Systems towards “sustaining infrastructure” was underpinned earlier this month with the acquisition of the Amulet Operational Analytics software from C3global a tool which the firm says will link information technology of design and construction to the operational technology of sensors, controls and logs. “We want to improve infrastructure – the totex problem – we are not a design software company but an infrastructure software business,” explained Bentley. “The job of the asset manager needs to span both (operational technology and information technology] but they have been separate until now. There is value to be gained by combining these and that is the purpose of Amulet”. Currently Bentley has ventured into this area of asset performance modelling only with the Optram product which is specifically for the rail sector. Amulet enables this thinking to be rolled out and linked to its existing modelling software. To date the software has been used by South Australia Water to help bring together the operation technology with IT to predict demand and to predict the weather so as to find out how much water will be needed and how often its desalination plant needs to function. Currently it is also used by National Grid for integrity management of all its transmission towers and is used to analysis for example repainting schedules. The link to Bentley means that actual observations of corrosion can be fed into structural analysis software tools to decide how safe the transmission towers really are, says Bentley.